In this fast paced world, it is nearly impossible to get out of the rat race without an academic degree or a proper job. 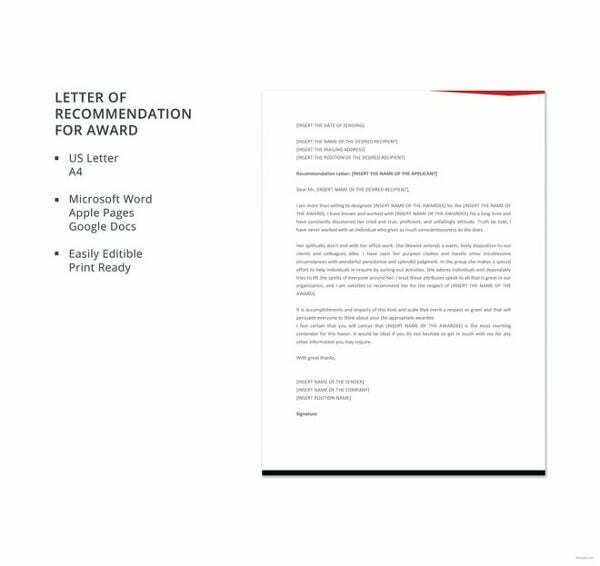 So do not shy away to get recommendation letters signed by someone of higher authority to increase your chance of getting selected.All you have to do is just download our samples, examples designed in word doc, fill them up, take printouts and of course don’t forget to get it signed. We can save you from a lot of trouble that you may face while customizing recommendation letters to serve your purpose of downloading them. 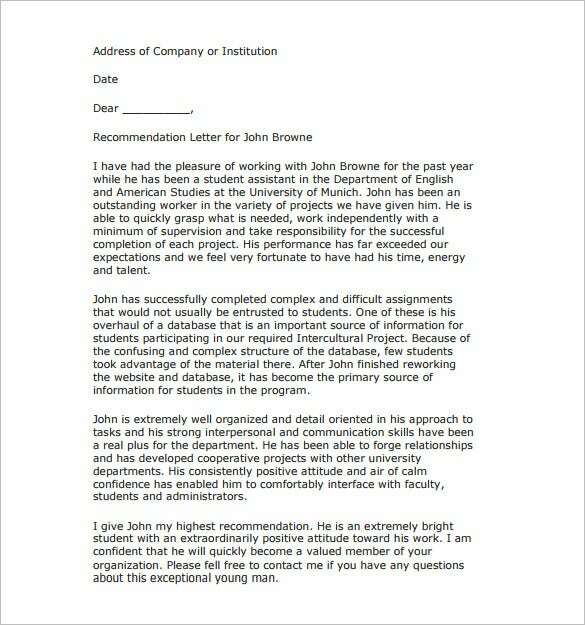 Be it academic or for job recommendations, we have a huge collection of different varieties of recommendation letter sample to help you find the one that would seem custom designed for your requirement. Just download our samples, examples designed in word doc and fill them up. 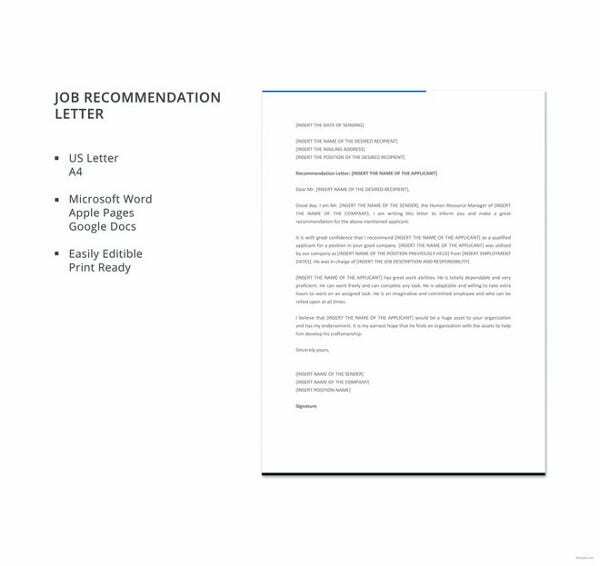 If you are looking for a perfect letter for you to get selected in a job interview then this is the best option to choose; the letters of recommendation. 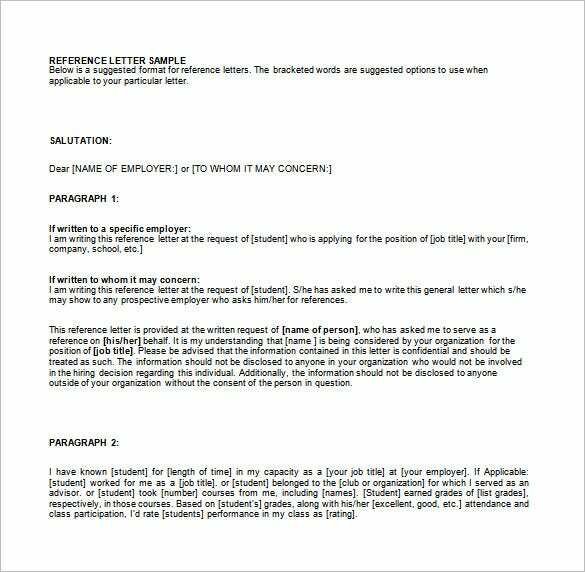 These are the best letter templates for you to get selected in no matter what job or interview you apply for. These documents are available in a word document format as well as the most commonly used PDF format and hence can be easily customized and printed. 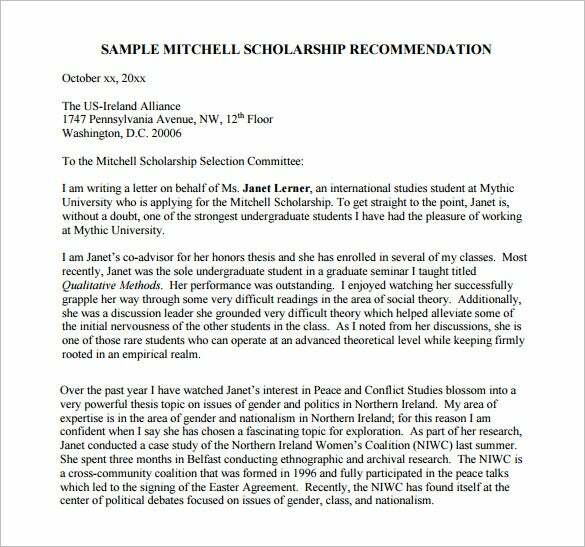 We have a range of collection of recommendation letter examples. All you have to do is, download our samples, examples designed in word doc, according to your need or just customize them according to your preference. Fill them up and do remember to carry a copy of these to get it signed from someone of higher authority. 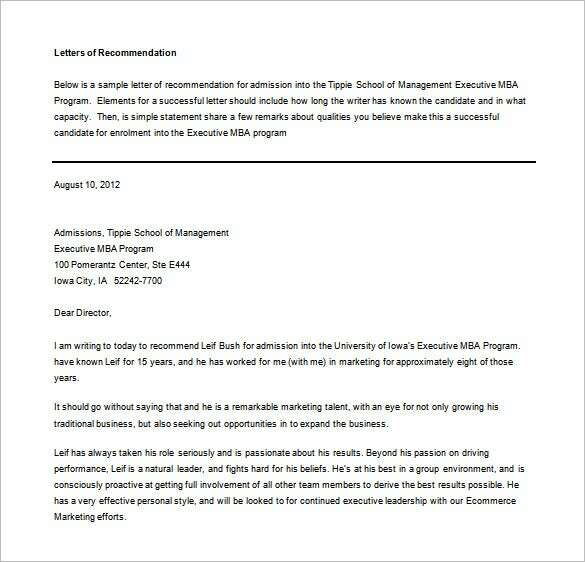 Tired of searching for the perfect format that suits your professional letter of recommendation type! We have the perfect solution for you. 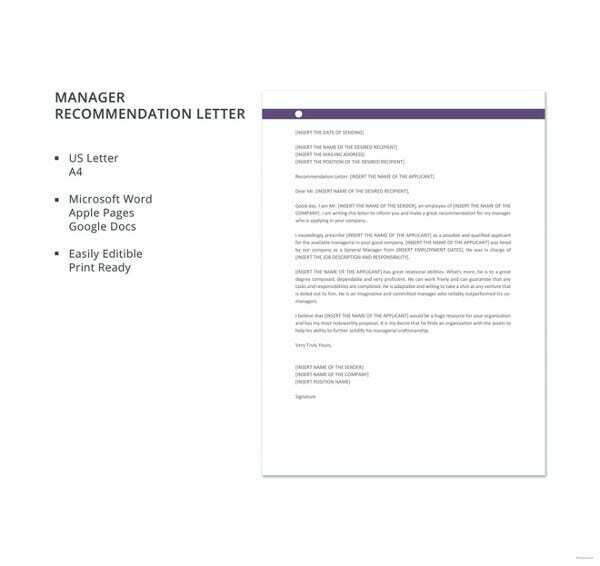 Our collections of recommendation letter templates are designed in word doc. All you need to do is download our samples, examples, fill them up and take printouts. 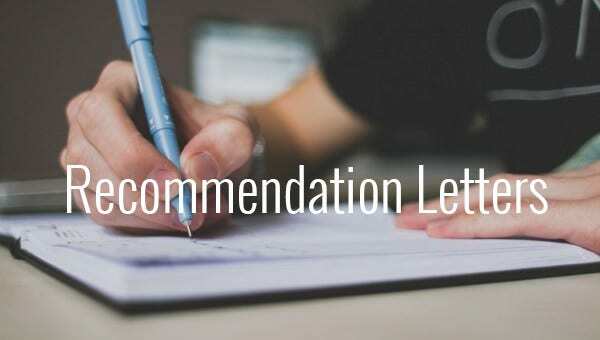 A Recommendation Letter for a Student can provide immense assistance to both the admission committee and the scholarship committee of any institution. 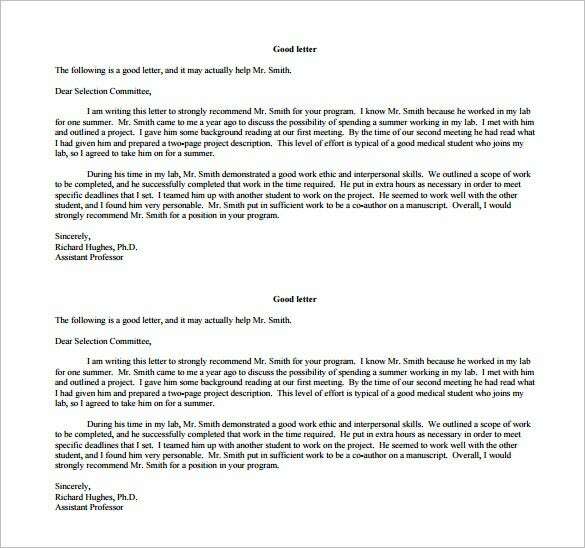 Our sample templates provide a perfect model, helping you set an example for the ideal recommendation letter for a student. 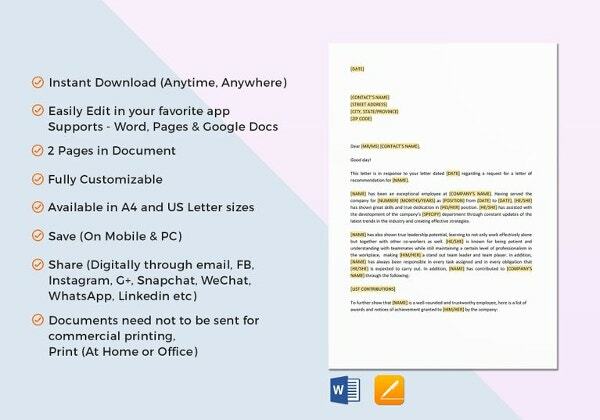 Capable of being easily converted to a word document, these letters highlight the potential skills of a student and also include a section wherein the contact details of the reference can be provided for further correspondence. 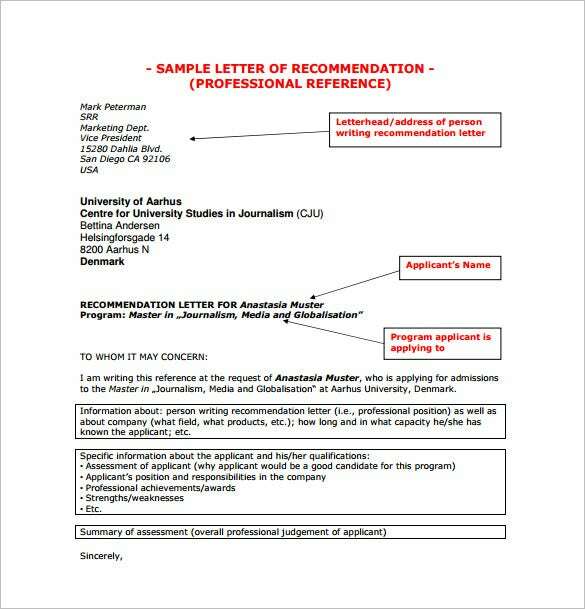 Our sample recommendation letters help you in drafting the ideal recommendation letter for academic or employment purposes. For example, it is essential to mention your association with the person you are recommending and give specific instances of how this individual has the capability of making a difference in the institution or area of work he is applying for. 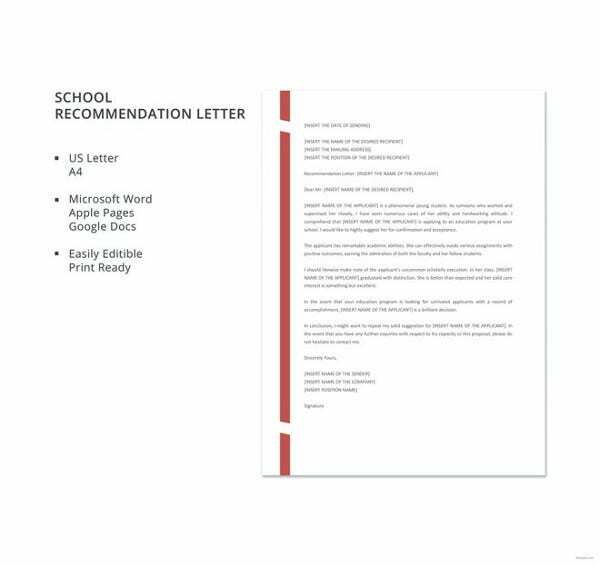 You can write a recommendation letter or also get it printed and saved in a word document format. Our sample letters help you in applying at the right time and in using the right terminologies while drafting your letter. 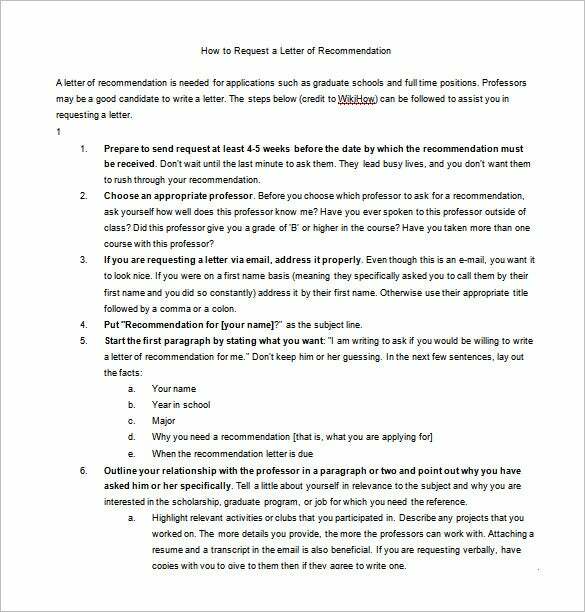 Target the professor you seek a recommendation from, for example, your philosophy professor and politely request him to write a recommendation letter for you. Provide him with all your details and highlight the specific areas of focus alongside him. When printing it in a word document, ensure that it is on the official letterhead of the professor. Our sample letters provide a detailed analysis of what should be incorporated in the letter and what should be expected out of the letter. 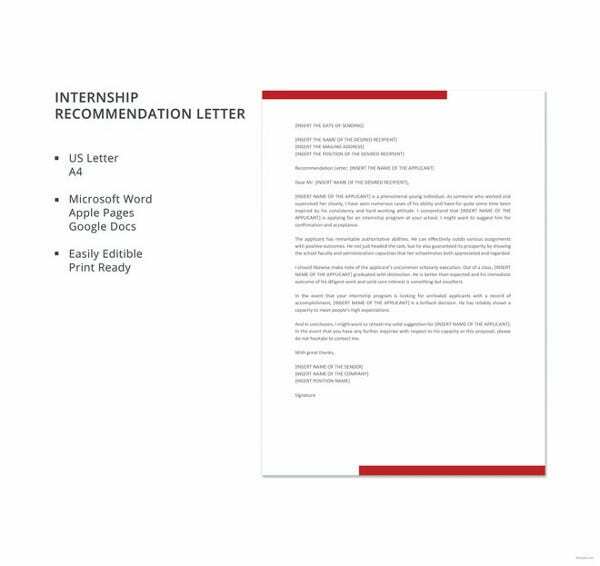 For example, an ideal recommendation letter from an employer would begin with the position of office held by the employee and go on to focus about his specific skills that make him such a valuable asset to the company. 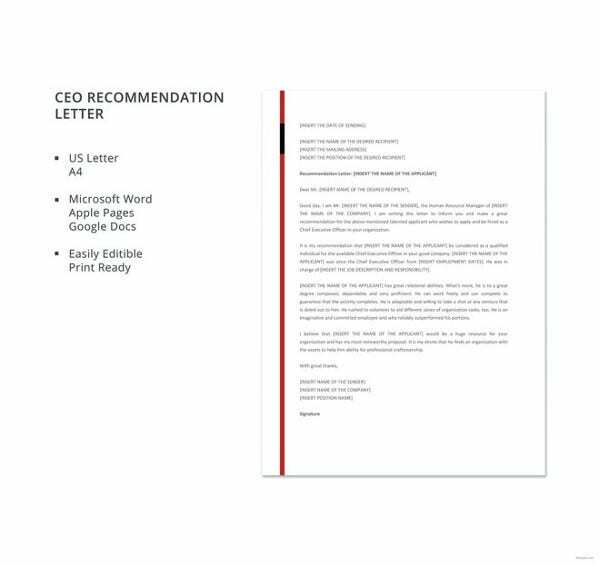 This letter should ideally be in a word document embossed with the official letterhead of the organization. 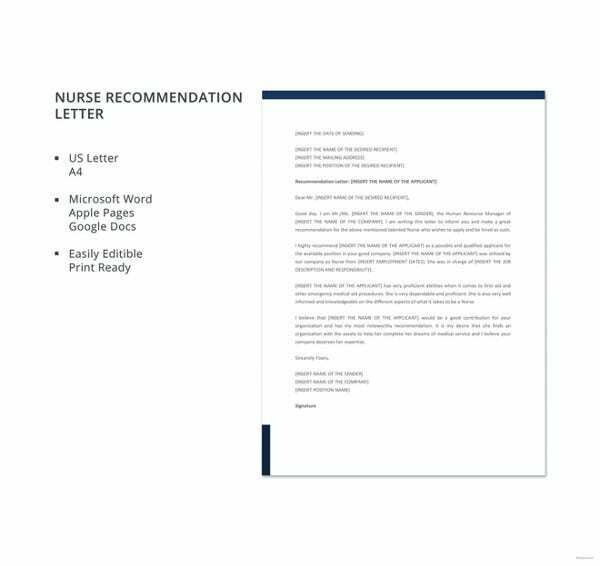 Our sample job recommendation letters provide the cutting edge to the candidate vying for a spot in the competitive field. 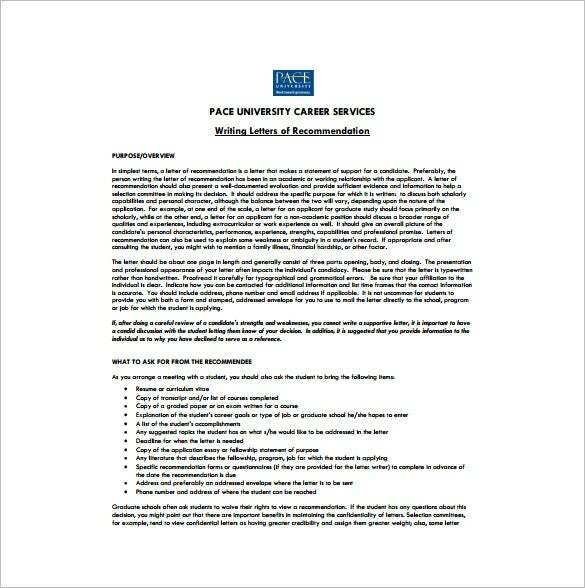 The aspects of a job recommendation letter often serve as an example of templates for other organizations to refer to. 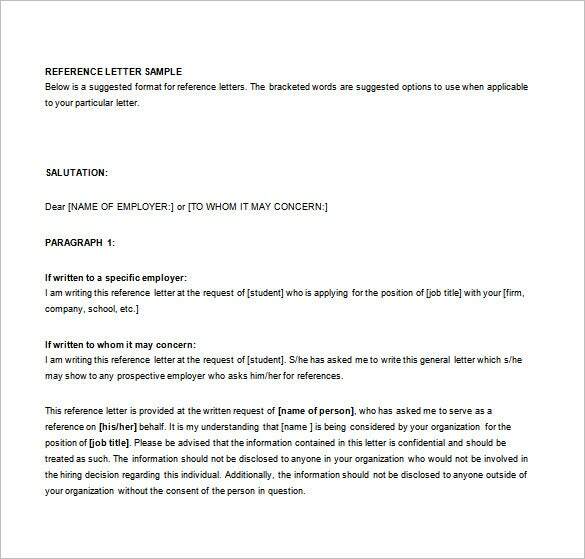 Above all it should confirm the date of employment and the responsibilities sought to be undertaken and should be printed in a word document with the signature of the authorities concerned. With our sample recommendation letters for scholarship, you are provided with the option of selecting the image of the template which accurately identifies your relation to the person being referred. For example, selecting the workplace template will by default structure a letter based on the relation you share with your employee in which you are free to make customization. It is advisable to print the same in a word document to authenticate the entire process. 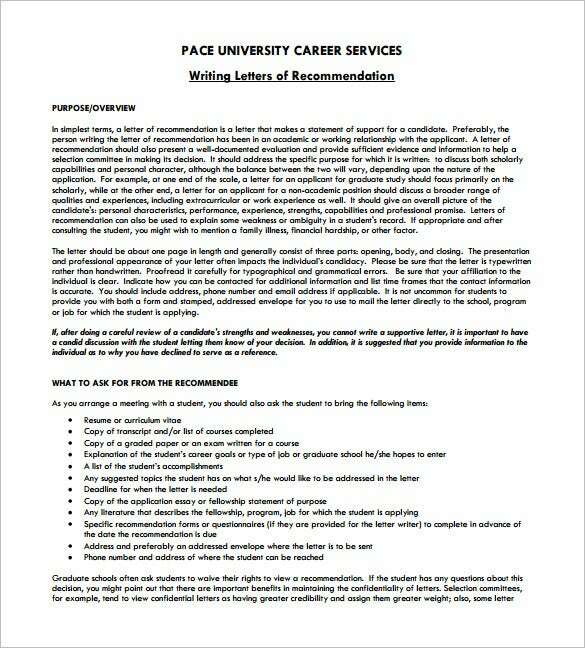 Unlike other recommendation letters, writing a recommendation letter for a friend is fairly simple and less procedural. Our sample letters, for example, provide you with a brief outline of the structure of the letter wherein you mention your name and introduce yourself and give an honest account of your friend’s qualities. When saving the word document, ensure that your contact details are included for future correspondence. 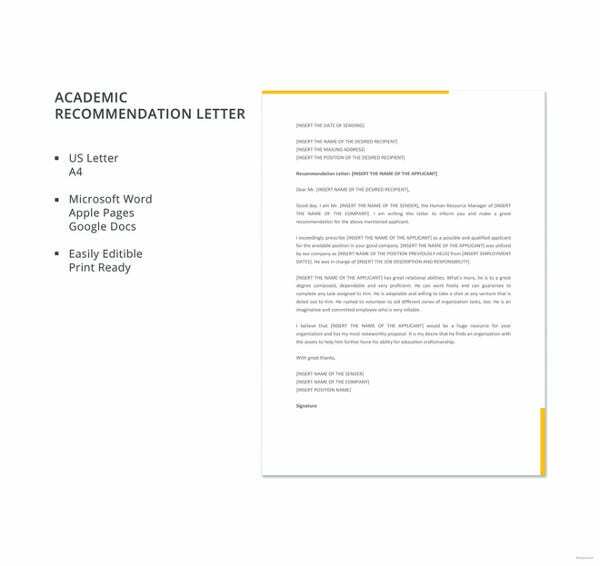 Our sample Recommendation Letter for University ensures that you draft an impeccable letter that guarantees you an entry into the most hallowed universities across the globe. Our letters for example help you in bringing out the key qualities in your character and make you stand out from the crowd. 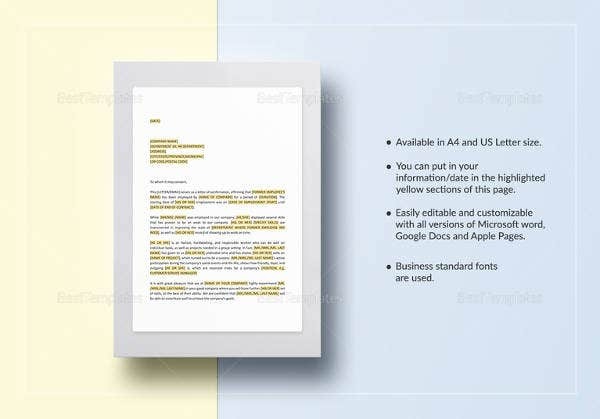 Printing the letter in a word document format additionally lends a professional touch to the same. 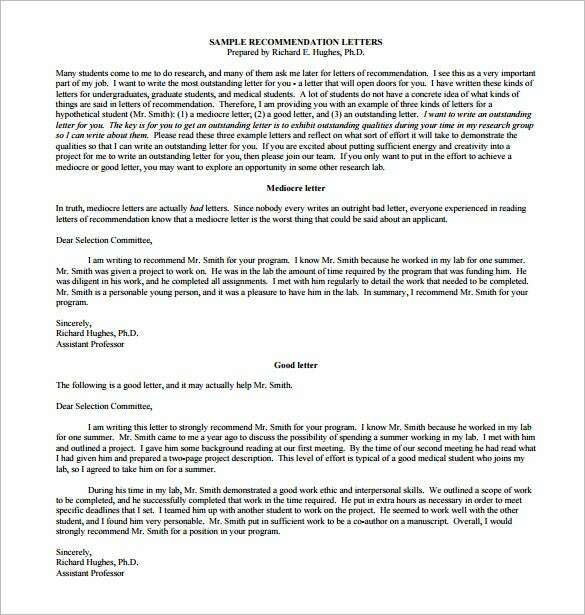 Recommendation Letters for Graduate School are a standardized and basic means of evaluating the potential of the student. Our sample letters identify the core areas of the strength of the student and provide evidence to substantiate those claims. For example, for a child who is athletic, certificates and awards won in sports competitions are added as evidentiary material. 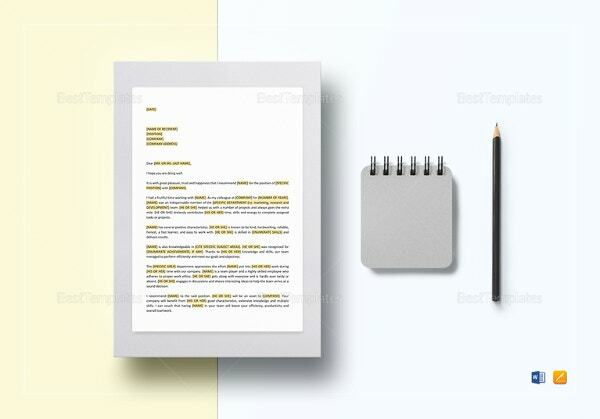 Having this letter in a word document with the necessary attachments creates a strong impact on the reader. 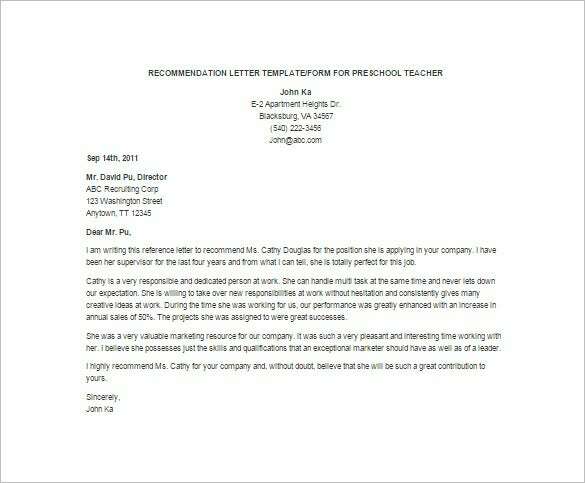 A teacher recommendation letter is an example of an reference letter combined with an employment reference letter. 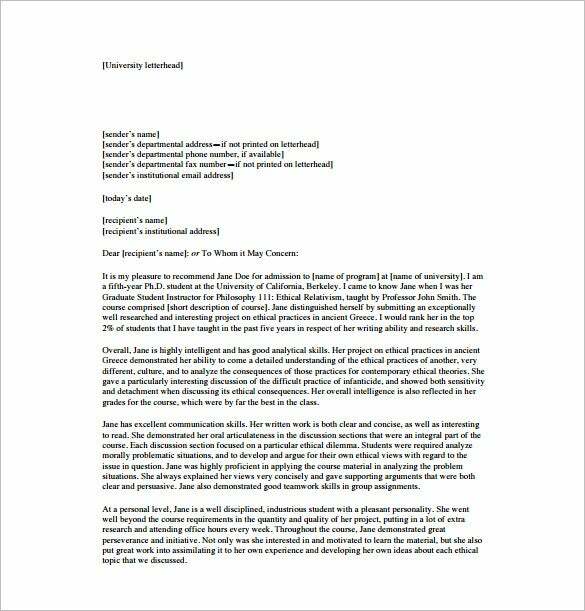 Our sample letters usually provide a concrete structure where a senior faculty member explains the work experience of the individual soliciting the recommendation and his efficacy and sincerity in his field of operations. Presenting the same in a word document with the proper formatting often leaves an everlasting impact.